To make a gift by credit or debit card, visit our online giving form. You can make a one-time gift or a recurring gift through this secure webpage. Make a check or money order out to BSU Foundation. Include a note on the memo line of your check about what you would like to support (e.g., Bridgewater Fund, scholarships, athletics, etc.). Matching gifts are a great way to double or even triple the impact of your support at no additional cost to you. Many companies give generously to educational institutions by matching their employees' and even their employees' spouses' charitable contributions. Visit http://www1.matchinggifts.com/bridgew or check with your company's HR department to find out if they participate. Through planned giving, you can make a charitable gift now or after your lifetime based on assets in your estate. A gift from your estate can provide the university with significant future support while preserving the flexibility you need to take care of yourself and your loved ones. A planned gift can be as simple as adding BSU as a beneficiary on an existing account or including us in your will. Certain planned gifts can also give you immediate tax benefits and guaranteed income for life. 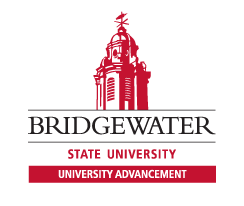 Bridgewater State University has established the 1840 society to honor individuals who have included the university in their estate plans through a will, trust, gift annuity, life insurance policy, retirement plan, etc. If you have included BSU in your will, established a life-income plan or made BSU the beneficiary of an insurance policy or retirement plan, you are automatically a member of the 1840 society. Just let us know by calling Mary Abbott at 508.531.1288 or m3abbott@bridgew.edu. If you are interested in establishing a planned gift with BSU and would like more information about how to include us in your estate plans, we would love to talk with you. Cash is the most common gifting method for most Americans, but it can often be more advantageous to give other assets. For example, you may wish to consider gifts of closely held stock, tangible personal property, the use of which is related to BSU’s mission, mutual fund shares or real estate. Gifting assets can also allow you to have a greater impact on the university and our students. There are also many tax advantages to considering assets like insurance policies and retirement plans that might not be so obvious. A stock portfolio is often among the most valuable assets you own—and one that can carry substantial capital gain, or appreciation in value. With careful planning, you can reduce or even eliminate federal capital gains tax while supporting our students. Please contact Mary Abbott at 508.531.1288 or m3abbott@bridgew.edu with assistance donating a stock gift. When you own a life insurance policy with accumulated cash value, you're essentially sitting on a pile of money. When the original purpose for the protection no longer applies, your life insurance can be redirected to help support a worthwhile cause - like students at BSU. Please contact Mary Abbott at 508.531.1288 or m3abbott@bridgew.edu to learn more. Want to get the most value from your nest egg, protect your heirs from heavy taxes and make your mark at our university?  Consider leaving a portion of your retirement plan assets to Bridgewater State University. Contact Mary Abbott at 508.531.1288 or m3abbott@bridgew.edu to learn more. We all own personal property, maybe you’ve purchased real estate, and perhaps have closely held stock; but did you know that these things can be used to benefit both you and Bridgewater? Contact Mary Abbott at 508.531.1288 or m3abbott@bridgew.edu to learn more about how you can support BSU with this type of gift. Closely held stock is shares in a C Corporation, of which the majority of stock is held by a few shareholders. A gift of closely held stock can be a powerful way to contribute to the future of BSU. Contact Mary Abbott in University Advancement at 508.531.1288 or m3abbott@bridgew.edu to learn more about how you can support BSU with this type of gift.